As smartphones pack ever more features into their svelte bodies, from dual-lens cameras to dozens of gigabytes of storage capacity, they're still hampered by a persistent aggravation — limited battery life. When you're not using them, these batteries last for days, but with any sort of consistent usage, there still isn't a smartphone that will last 24 hours in a standard test, says Consumer Reports. This is why battery-saver apps are still among the most popular apps. But do they really work? It depends. Let's start with one fundamental: Smartphone software varies wildly in quality. Some developers create sleek, efficient apps that perform their tasks without hogging central processing unit (CPU) time or RAM. Other apps are clunky (cough, Facebook) and consume too many resources, often by using many components (GPS, WiFi, cellular data) simultaneously.This is noteworthy because a lot of battery-saver apps work by gauging how many computing resources each app is consuming. In situations where you're not really using those apps, why let them hog your precious power? Apps like Greenify monitor your app usage and for those that you rarely access, it reduces their availability and knocks down their power requirements. 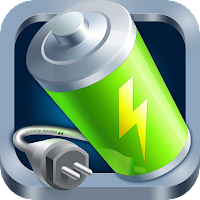 It's similar to GO Battery Saver & Power Widget, Avast Battery Saver and DU Battery Saver. These apps are typically free, with an option to upgrade to a pro version that's free of ads. The thing is, many of these capabilities are already at your fingertips in your operating system. Phone manufacturers and operating system developers know that short battery life is a challenge. That's why they include integrated power-saving features right into the operating system of the phone. On most phones you can tweak the settings on this capability to control at which level of capacity the features kick in, among other settings. Simply allowing your phone to automatically dim your screen and activate airplane mode can quickly extend your battery life from a few minutes to hours, so long as you don't fiddle with it too often. 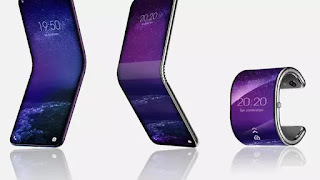 Furthermore, upcoming Android operating system updates will use artificial intelligence for a feature called Adaptive Battery, which monitors your app usage and decides whether to keep them in a ready state or to essentially put them in hibernation so that they don't become energy vampires. In addition to being rather redundant, remember that some of these apps are simply scams that try to access your personal information, like the malicious Advanced Battery Saver app that was available in Google's Play Store. So if an app looks hokey, listen to your intuition and don't install a system utility program like a battery saver that you haven't researched, but do take a look at your phone's settings in the meantime.